Press Release – April 16 2019. The high number of agriculture workers dying in workplace accidents has inspired two companies to join forces to help reduce such deaths. The agricultural sector is the most dangerous place in which to work in New Zealand. Quad bike deaths make up a quarter of all farming fatalities, with 34 in six years. But less than five percent of the serious incidents involving quad bikes are reported and the number of farmers being issued with enforcement notices or facing prosecution by WorkSafe New Zealand is declining. 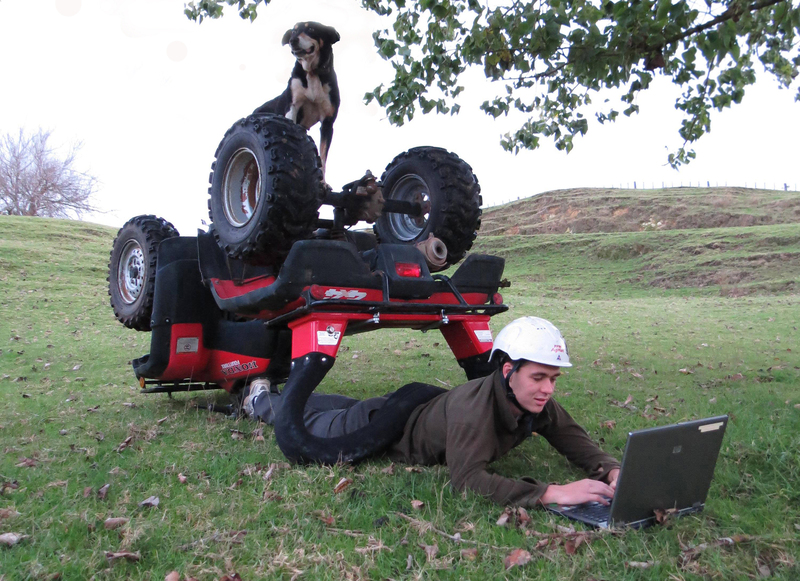 Conversely, rural insurer FMG says that on average it receives a claim for a quad bike rollover or accident every day. Over the past five years it has received 2,000 claims for quad rollovers and accidents, worth over $8.1m. Meanwhile, ACC reports 10,000 injuries involving quads or atv’s over five years – 10 percent of which occurred to children. 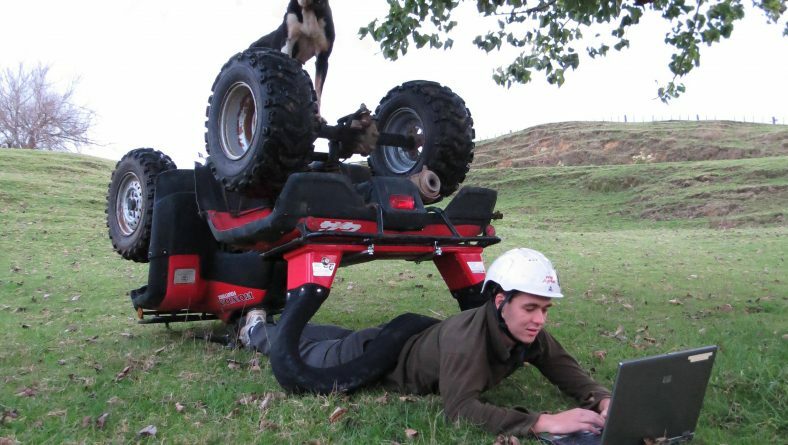 In a recent LinkedIn article, Tony Watson, GM of the Agricultural Leaders Health and Safety Action Group said “One area that stands out is quad bike rollovers and the failure to fit a device that can help by reducing the chance of being pinned under the quad bike”. Dargaville-based Ag-Tech Industries Ltd and Otago’s Zero Harm Farm Ltd both provide solutions that aim to change the fact that agriculture is this country’s most dangerous industry. Ag-Tech Industries manufactures the ATV Lifeguard®, a roll bar or crush protection device that is mounted on the rear carrier of a quad bike, providing space underneath in the event of a rollover. Zero Harm Farm offers a web application that enables agricultural businesses to comply with Health and Safety obligations, thereby reducing workplace injuries. Both he and Ag-Tech Industries’ GM Operations, Weston Stewart, believe there is little or no enforcement of the legal requirement to notify Worksafe New Zealand of near miss incidents which leads to low levels of investigation and a missed opportunity to collate data as to why these incidents occur. “It is hard to see how or why injury and death rates will improve should this continue to be the case,” Orr says. Together, Zero Harm Farm and Ag-Tech Industries are giving away $100,000 in digital farm- safety solutions which makes it easy to collect vital near miss incident data to help better understand and reduce serious injuries and deaths on New Zealand farms. They are offering a free 12-month subscription to the Zero Harm OH&S application valued at $459 for each customer purchasing a LifeGuard® OPD product before the end of July. Stewart and Orr say the aim is to increase awareness of the high death toll from quad bike accidents in particular and on farms in general. Ag-Tech Industries manufactures UTV and quad bike accessories. Its mission is to help decrease serious injury and fatalities caused by quad bikes and provide ‘real world’ evidence about the effectiveness of Operator Protection Devices on quad bikes. Zero Harm Farm is an easy to understand and manage web application which enables all agricultural stakeholders (owners/managers and contractors alike) to comply with the Health & Safety at Work Act 2015 and proactively reduce New Zealand’s high rate of farm-located workplace injuries and deaths. A free 12-month subscription to the Zero Harm OH&S application, which includes all current and future features, for one worksite for each customer purchasing a LifeGuard® OPD product until July 31, 2019. Valued at $459 incl GST. Any additional work sites will be charged to the customer at $89 + GST per annum or at a price negotiated with Zero Harm Farm Ltd.
All phone/web based set-up and tech support is included free of charge for 12 months. Offer excludes any onsite visit by a Zero Harm Farm Ltd staff member. Offer runs till 30th of June 2019 up to the value of $100,000 in software across both territories, so get in quick.